…and the reasons are not addressed; will it happen again? Tonight; the largest, most respected organization of its kind in the world – conceived and created more than 25 years ago and comprised of thousands of the most creative, accomplished, productive, innovative and even legendary men and women in these industries – is bestowing annual, glowing acknowledgement on the most exemplary accomplishments of the year just passed. Born of a very real need to work together to nurture and build an international association of creators of experience – and, by design, to protect these independent business people, small businesses, individual artists and artisans from being victimized and having advantage taken by the Vast and Powerful, by those of Big Money, by the Dominant (who have since become, coincidentally, active members) – this association has become respected worldwide, is the “go-to” entity in these industries for new knowledge, for sourcing the best in the business, for building teams and leading projects in every country on the planet. The Experts, the Leaders, the Setters of Standards and Practices. That’s us. Tonight, this organization is giving one of its highest awards to a company and a project that, by refusing to live up to its own contracts, by failing to pay the vendors, creative and production, who have delivered this project to such high standards, has egregiously risked the financial security – indeed the very existence – of a number of our own members. How have we come to this? This is not a New Thing, and has been going on for decades. 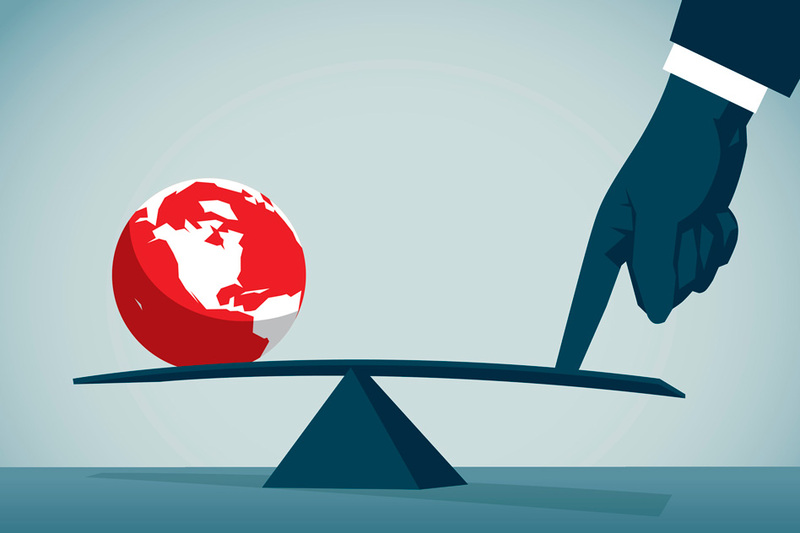 For so long, the big boys in the business may have wryly griped about it over cocktails and dinner; though in the end, seem to have pretty much simply considered it a cost of doing business in these countries. As the world has shrunk, however, and the number of small, independent, specialized craft, technical, design and management segments have become more specialized and to-the-project rather than living protected under a massively financed umbrella; this dynamic has persisted and the risk to the “little guys” has grown. Concomitantly, those who have become more and more vocal about the untoward business practices have been told to keep quiet in the interest of The Business, the stories are not reported and the incidents are swept under the proverbial rug. Yesterday, during a presentation for the awardee, for the first time in…ever, the owner of one such small business currently having been put at great risk by this awardee stood up and, in open forum, asked when he and the rest of the unpaid vendors of this ostensibly finished and apparently award-winning project can expect to get paid. The room fell silent. The CEO remained silent. The question went unanswered. But. The conversation is now in the open. The basic question: how can an organization that was founded to protect individuals and independent businesses overlook the damage being done to its membership and award the perpetrator for such a project? Are we overlooking where lies our real value? In supporting the Big Money to the detriment of the people who actually do the work; is that not the opposite of nurturing an industry? Don’t embarrass the <Name of Culture here>!! I have two responses to this. You know what? He may not ever see his money. He may not ever have seen his money whether he raised the issue or not. But, if he didn’t raise the issue and never saw his money, he most definitely would not have been the last to suffer this fate. Similar to coming out of any Closet: the first ones to stand up most often pay the price for those that follow; but they open the door for those to follow. Without the courage of the first, all who follow will continue to suffer. Seriously. “Don’t embarrass the <company / person / culture>?” What sort of de facto acceptance of unacceptable behavior is that? If a businessperson comports himself (or herself) in such a way that public knowledge of that conduct would be embarrassing; how is the person who calls out the transgressor doing that embarrassing? The embarrassed has embarrassed himself. If it’ll embarrass you, don’t do it! Pretty easy stuff…unless one isn’t interested in integrity, honor or doing business in a manner of which s/he can be proud. One of the biggest problems is our industry press. For the most part, essentially reprinting Press Releases from the public relations arm of owner companies; these publications virtually never actually investigate and report. If a writer attempts to actually share underlying truths, editors or marketing departments seem to stand in the way. Thus, in the name of Client Relations, they only print positive stories. …At least, until the press releases finally begin to acknowledge the billion-dollar-shortfalls which, I would offer, might have been avoided were candor to have been a larger part of the earliest and ongoing conversations. The vast amounts of money, the billions of dollars lost and wasted, is painful to the philanthropist in me. How great would it be were these monies to be pointed toward the quality of the human condition, of life on the planet. That being said; it’s understandable how a selection committee ostensibly in possession only of the “facts” of a project by way of our industry press and through the presentation of the nominee might not be aware of the downside or dark side of a given project. If anything, this is an egregious flaw in the system. Beyond that, perhaps Selection Committees could be more open and responsive to membership from the divisions in that part of the world for informed enlightenment. Being a part of a free press does have some risks; especially in “client-supported” publication. Meaning, effectively, that we don’t have an industry based free press. What Price: Self Interest in the Short Term? How is this in any way healthy for an industry? Is it conceivable that an association united under its Code of Ethics could make a positive, worldwide difference by embracing and living such a Code? Enforcement by peer pressure? Just as enlightenment doth grow in other areas and industries: the bottom line in any question of conduct or integrity is that if one knows of and does nothing, one is complicit. In a search of the website for our association; I was unable to find specific reference to a Code, Ethics or a Code of Ethics…there is a Best Practices series, though that seems aimed at specific disciplines rather than the overall responsibilities of doing business. Perhaps simply featuring on the website what is expected of membership with respect to responsibilities of doing business and respect for one another might go a long way toward communicating the importance of integrity in business from the POV of the association. Currently, our association tends to meet such situations with an I-Can’t-Get-Involved, knee-jerk reaction; running and distancing from any sort of intra-membership conflict. IMHO, this doesn’t jibe with an organization that openly claims to watch out for one another. What is the point of a Code of Ethics if it isn’t respected and supported? If members cannot adhere to a level of standards and respectable practices; then, should they continue to be Members? This, then, is the opportunity for evolution. For recalibration. For self-examination and commitment to what we claim to and can be. This is not a call for an Arbitration Board or Judgement panel or anything of the sort. Rather, this is an opportunity for the evolution of how we live and do business under the umbrella of such a Code. When a member company, client or advisee is seen to perhaps be crossing a line, how is it not apropos for a call from a respected colleague; simply saying, “buddy, perhaps you might sit down with this person with whom you are in conflict and see if you might be able to work something out; learn what each of you may not know…” and work to eradicate the “So, Sue Me!” mentality. And, if we can’t sister-to-brother, brother-to-brother or sister-to-sister encourage the embracing of responsible, respectful practice; perhaps we shouldn’t have a Code of Ethics at all. This is not a call for public banishments and pogroms. Sought, rather, is the personal, private, individual-based embracing of the High Road in all things. Yes; there may be a short-term price for stepping up and “…Going High”. In the long-term, however, and taking the High road, we build a business and industry based in integrity, truth and respect. Just two days ago, this association opened a dynamic conversation on #BlindersOff, #TimesUp and #WhatsNext? If we can discuss and offer perspective on subjects at this level of resonance and empowerment with and among ourselves, our clients and vendors; surely we have the spine to address Getting People Paid and Keeping One’s Word. Can we live, lead and do business by example? We have the spotlight and the cache; let us find a way to embrace that … and make money at the same time. I cannot accept that this is not possible. Speaking truth to power–talk about subjects that are in “your wheelhouse,” and that by which those of us who’ve worked with you know you to be synonymous. In figure skating, our decay of ethics begins at grassroots as leadership and interventional management has collapsed due to a generation untrained and modern day corporate world of refined behavioral ethics. Faced with the prospect of losing a job or being sued because they don’t have the training to be able to still intervene without saying or doing things that should have gone the way of the dodo from an ethical perspective, managers at the Grassroots level have just chosen to not intervene and not provide coaches at the Grassroots level with the guidance they need from a behavioral standpoint. And so on up the hierarchy, growing like a cancer over the last 25 years. BTW geeking out on concomitantky and your ballsy use of pogrom. It’s a bit like #metoo. Are we finally in an era of fearless shaming of those that abuse their power / status / money? Possibly no, hopefully yes; but it’s always refreshing to hear of those that call out (Bravo!) and equally refreshing to have the debate laid out on the table for all to ruminate upon. Shame on you if you read this article knowing that your business (whether you own it or not) is not paying those that have delivered upon their promise – time to go to work! Wow, Truth to power, bravo! The activity you speak of is not new. However maybe TEA membership supporting you for speaking “truth to power” is. Is it time for a change within TEA? If the TEA is about the creators, why is the award given to the owners? Why is the press not as critical of bad practices of the owners that lead to less than the best? As we see many international theme parks lose money and fail to get attendance projections, do we ever criticize the systemic cause in our business model that many times point to the culture that bad practices of developers/owners create? Can the TEA be considered a professional organization if we don’t call out best practices (and those actions producing less than best practices)? Or are we promotional organization appeasing the clients just to get our next job without a critical view? Can we deliver to our audiences that expect more from our profession, if we don’t measure up to the standards we aspire to achieve? Bad business practices perpetuate if they are not addressed, so they can be corrected. How can TEA help with this. If you are the only voice, only you suffer the consequences. Is there a TEA committee to address this? Form follows funding, if people are not paid as agreed, can we profess to deliver best practices? In the end, the Return On Investment (ROI) comes from delivering to the audiences the best practices, if what you speak of is not address, the audience can not get what it paid for and everybody in our industry is compromised.